Sometimes you stumble into things, and you’re not quite sure how. I used to have book deals sent to my email and occasionally there would be a discount that made the book interesting. 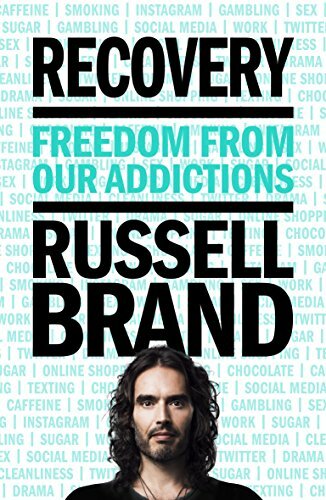 That was the case with Recovery: Freedom from Our Addictions. I didn’t know the author, but the topic was interesting enough to buy the book and start reading. As it turns out, the author has some level of fame. Russell Brand was apparently a comedian, big thing on MTV, and married to Katy Perry for a few years. He’s also an addict – now a recovering addict. He writes his version of the twelve steps, his story, and his perspective on the program that he needed – and that changed him. I wrote Why and How 12-Step Groups Work last year as a primer on the program and an attempt to help folks accept that addicts aren’t bad people, and * Anonymous groups aren’t scary. They’re places where people are connected and given the relationships and skills necessary to battle their addictions. I share that addictions aren’t the problem, they’re the solution. The addiction is a way of coping with life that’s become out of balance and has taken control of the addict. It’s the spiral that, once it gets started, feeds on itself by distorting the world until people can’t see outside of the bubble of addiction. Brand admits to his own disconnection with reality (and himself). As I explain in How to Be Yourself, figuring out who you are isn’t easy. From my perspective, Brand just landed in the right set of circumstances to get caught up in addiction. Starting in comedy can do that to you. When I did my study of standup comedy (see I am a Comedian for more), my research led me to an understanding of the drugs and sexual adventures of some famous comedians. Even cursory review of the news stories about comedians since that time will make it clear that it’s easy to get connected to addictive things. What follows here is a mixture of Brand’s thoughts and my own experiences around the program that has helped so many people. Brand’s quotes for the steps are much more colorful than mine. However, he adequately explains that the first step is admitting that your life is out of control. Most folks assume that you must admit powerlessness to the addiction, but, in truth, the admission is that what’s going on in your life isn’t working. It doesn’t technically require that you admit you’re an addict. The idea that your life isn’t working can become a budding awareness that you’re not comfortable in the still quiet of the night. It can be that you recognize you move from one distraction to the next. It can be a faint glimmer of awareness that whatever you’re doing is gaining more control over you, or it’s there to numb some other part of you that hurts too bad to face directly. However, whatever this thing – or, often, more than one thing – is in your life that was designed to help you cope has become your master. You depend on it to get you through the day, and that isn’t OK.
It’s one thing to know you have a problem. It’s quite a different thing to believe that someone or something can “return us to sanity.” That is, there is a solution – it’s just not me. When we are self-centered and require that it’s always our way, we’re bound to have problems. If you want to pick the step that frightens people who are new to the program, it’s going to be step 4. Making a list of the things that you’ve done wrong isn’t easy. There plenty of reasons for that, and, despite the jokes, no one has ever run out of paper. Brand lays out an effective way to get these moral lapses on paper and acknowledges that it isn’t easy. You’ll be tempted to gloss over things, justify others, and often not see the root set of issues that lead to the poor choices. What isn’t always shared is that this is a part of the process itself. No one gets this right the first time. They don’t figure out everything wrong they’ve done, evaluate every action with clarity, or “ace” the test. That’s because step 4 isn’t a test. It’s a step. It moves you closer to where you want to be. And, in truth, step 4 isn’t the powerful step. That is step 5. It’s not enough to just write down the things you’ve done wrong, you’ve got to tell someone. It should be someone safe, and it should be a time when no one is rushed. The key thing that people get out of this is relief. To some degree, we’ve hidden ourselves away from others. We didn’t want other people to know the bad things we’ve done. We didn’t want them to know how evil we can be at our core. Most of the time, the response to a step 5 with someone who has been in the program for a while isn’t surprise, rejection, or concern. The response to someone doing a step 5 is often, “Is that all?” It’s meant as a prompt to continue, but also an acknowledgement that, whatever the bad things are, they don’t make the person a bad person. In truth, most addicts have a hole in their soul that makes them believe they’re not good enough to be loved or liked. That’s not truth, but it’s the lie they believe, because they’ve never told people the whole truth about who they are. While step 4 was focused on the things that you’ve done, step 6 is focused on the parts of you and your character that caused you to do them. Rather than looking at the top of the problem – the results – step 6 asks you to look for what was going on inside that caused you to want to behave that way. With the list made, the addict often finds that some of the things that led them to bad choices are parts about themselves that they like, at least a little. So, step 7 asks you to be ready to let go of what you like for the life that you’ll love. It’s a hard swap, just like moving to a new city in a new home for a “better” new job is amazing – and heart wrenching. You love what you’re going to get, but you hate to let go of what you have. So, too, our character defects arise from a part of who we believe we are, and letting go isn’t easy. Between the 4th and 6th steps there’s been a lot of focus on the negative things that we’ve said or done and why. However, the focus has been on being able to expose to ourselves our true nature and that the true nature isn’t bad – it’s just done some bad things or made some bad choices. We’ve focused on integrating into the human condition and accepting that we’re all broken. Step 8 asks us to focus our thoughts differently. Instead of making it all about us – it’s all about what we’ve done to others. The list of wrongs is designed to be sorted by person and is about what we’ve done to them – not what they may or may not have done to us. While it’s all too tempting to focus on what they did to provoke us, this step calls for us to own our part in the situation. If you’ve wronged someone, and there is a way to make amends to them in a way that isn’t harmful to them, step 9 calls us towards that action. The sticky part here – beyond the desire to run away and hide rather than apologize and make amends – is the bit about as long it won’t harm them. For those whom making an amends would cause harm, you can use the same strategy. You can relieve yourself of the burden for now – and if the time ever comes that you need to address it because the circumstances have changed, you’ll be well prepared. Once you’ve gotten thus far, you’ve relieved yourself of the poison that you’ve built up, and now it’s important to create a pattern of living that doesn’t allow the poison to build. There will still be relapses and bad days, but the point of the final three steps – particularly step 10 – is to ensure that these incidents don’t create a change in direction in your life. The idea is that every day you evaluate your day in the context of the wrongs you’ve done, the character defects that have revealed themselves, and the people to whom you need to make amends. By practicing this daily, there is no need for the massive efforts that took place in steps 4, 6, and 8. Whether you call it being centered, connected with nature, a commune with God, or anything else, there’s something to being a part of instead of apart from. Steps 1, 2, and 3 led you to getting connected to a higher power – whatever that is. Step 11 reminds you to stay connected. Step 12 is the give-back step. It’s about helping others who were in the same spot as you to find their way back into connection with others. 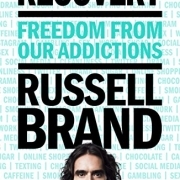 In the context of Brand’s story, it might be writing a book on Recovery. For others, it may be as simple as offering to help people when they’re struggling with addiction.